This article was originally published by YaleGlobal Online in July 2017. 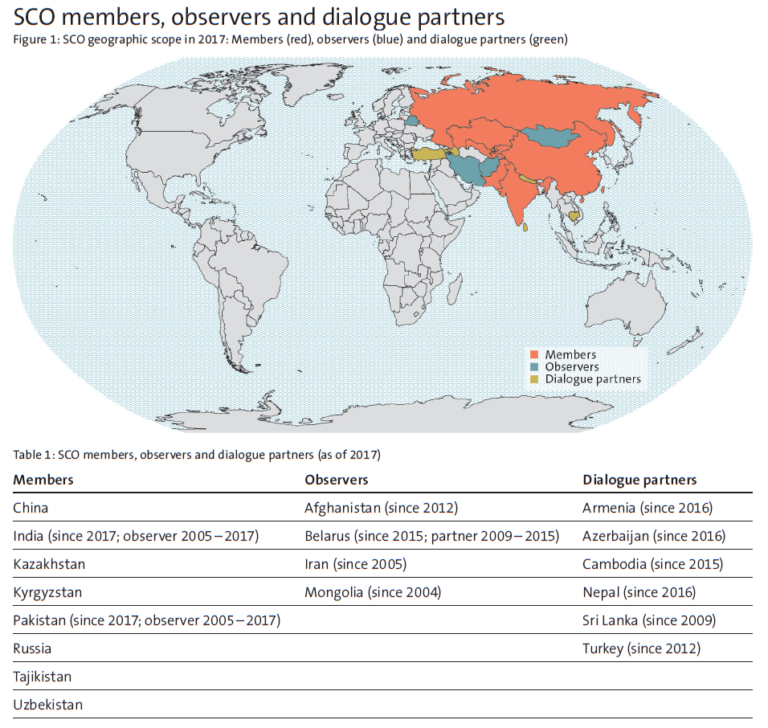 Members of the SCO, courtesy of Wikimedia Commons. 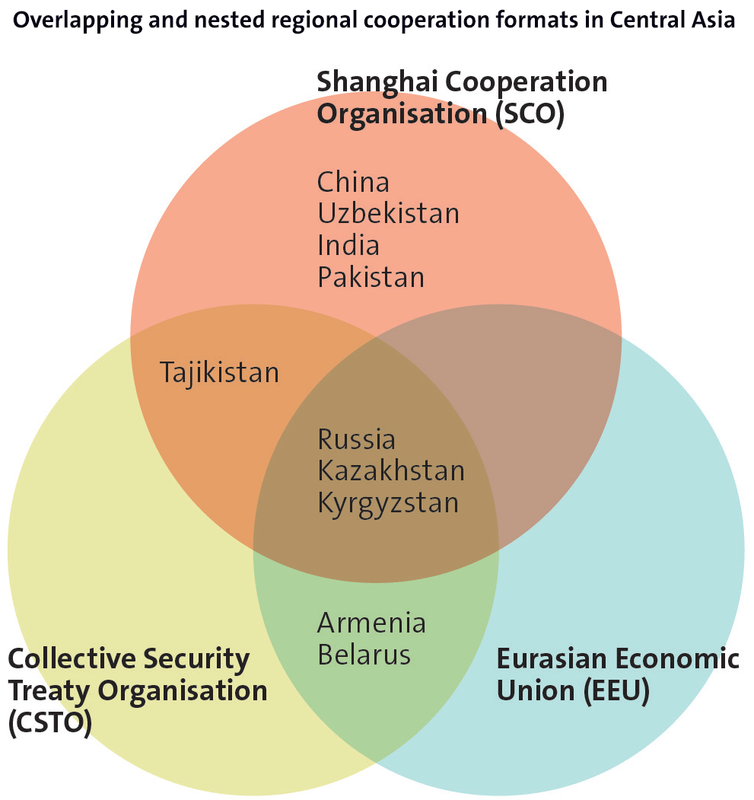 The twelfth summit of the Shanghai Cooperation Organisation (SCO) took place on 6-7 June in Beijing. 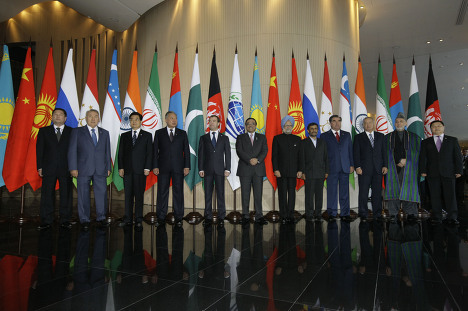 The summit was attended by the presidents of the organisation’s member states: China, Russia, Kazakhstan, Uzbekistan, Kyrgyzstan and Tajikistan, and also by the presidents of Turkmenistan, Afghanistan, Iran and Pakistan. 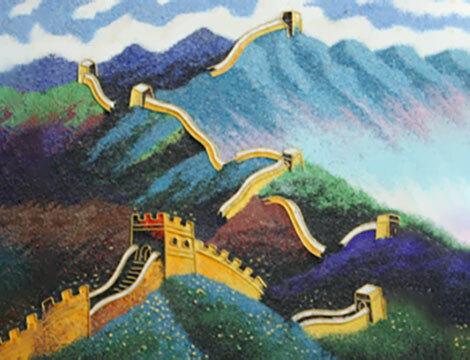 A further development of co-operation in the area of security (for example, the development of SCO’s anti-terrorist structures) and economic co-operation (including work on the establishment of the SCO Development Bank; China offered a capital contribution at US$ 10 billion) was discussed during the meeting. On the occasion of this summit, China signed bilateral loan agreements with Kazakhstan (1 billion USD) and Tajikistan (1 billion USD).